1–1:30 p.m. Yoga workshop. Basics of yoga and stress management. 2–3 p.m. Sling-making/primitive tools workshop. Learn how to make useful and fun primitive tools, specifically slings! Free from tuition. Free from authority. Free to participate. 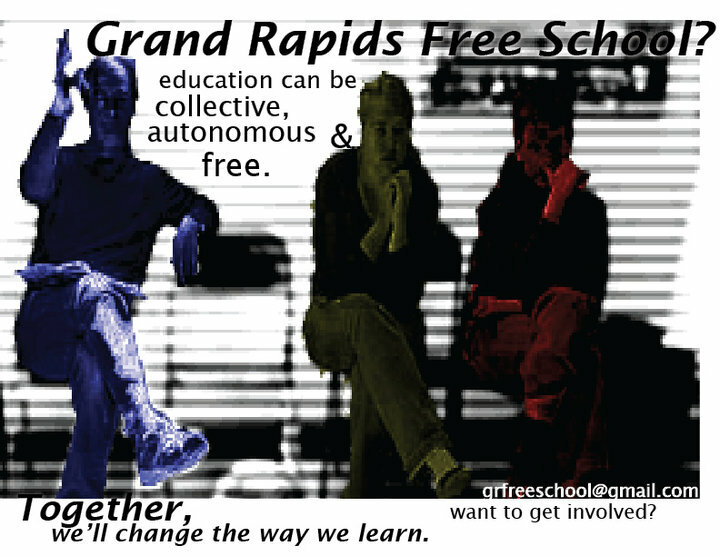 That’s how the folks from the new GR Free School describe the new project they are launching in Grand Rapids this Sunday at the Really Really Free Market. Free schools operate outside the market economy. So, kicking off GR Free School at the Really Really Free Market makes perfect sense. Tuesday, August 3rd, 10th, 17th, 24th: Special Topics: Feminism discussion: 2 pm – 3 pm. At Cherry Park: 725 Cherry St. SE. A series of facilitated discussions on feminism today, in the past, and towards the future. Saturday, August 7th: Know Your Rights Against Police workshop: 1 pm – 3 pm. At The Bloom Collective in Steepletown Center, 671 Davis St NW, room 7. The first in a series of “know your rights” classes, this workshop will give you the knowledge you need when dealing with police at home, on the streets, in a vehicle, and more. Sunday, August 8th, 22nd: Yoga class: 3 pm – 4pm. At Cherry Park: 725 Cherry St. SE. A bimonthly beginner level yoga class for breathing and stress management. Wednesday, August 11th, 18th, 25th: French language course: 7:30 pm – 8:30 pm. At Cherry Park: 725 Cherry St. SE. An ongoing French course taught by two skilled speakers of French. Continues every Wednesday at the same time. Will continue into September. A free school is a collectively organized, community-based organization of people who freely participate in creating, sharing, and learning together as equals in a safe place. Anyone can teach a class, and anyone can attend one. 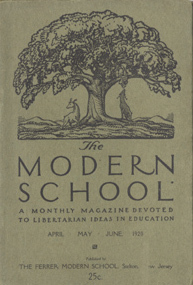 While today’s government sanctioned schools and universities focus on turning out law abiding citizens who will dedicate their lives to “successful careers,” free schools foster self-reliance, critical consciousness and a learning community free of hierarchy and its school-chums: patriarchy, racism and sexism. “Our society’s mainstream education system is meant to breed ignorance and obedience. By forcing young people to spend copious amounts of time learning useless facts, the idea of learning or education becomes unattractive to them. By structuring the classes in an authoritarian fashion where the student has no say in what they’re learning and must obey the teacher, they become jaded to the presence of authority, which will dominate their relations in their workplaces, in their homes, on their streets and for the rest of their lives. This created complacency is what allows some people to exploit and dominate everyone else, to become rich and powerful. For information, visit the GR Free School website. Hello There! I am a student at Grand Valley State and I am enrolled in a Feminist Philosophy class which requires a community project of 12 hours or so. I saw on Facebook that there has already been a feminist course already but I was wondering if my partner and I could do a series of issues regarding gender, philosophical issues, etc. We are open to take any positions necessary to get involved.